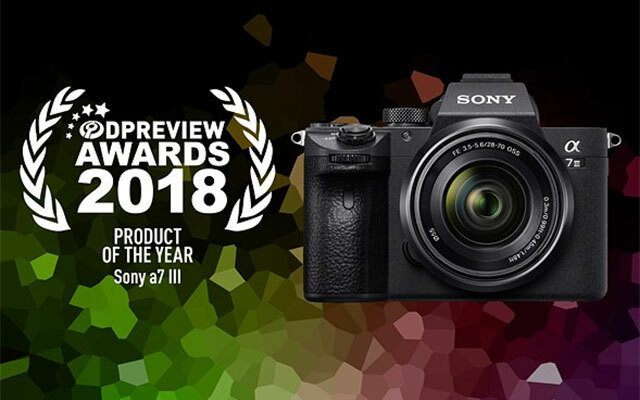 Better make room in the trophy case, Sony wins Camera of the Year, Fixed-Lens Camera of the Year and Prime Lens of the Year in the 2018 DPReview Awards! 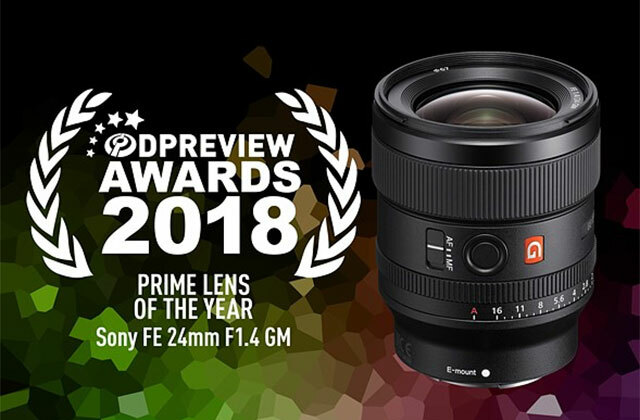 “We’ve seen a lot of small, OK lenses this year, and a lot of very large, very good lenses, but it’s really nice when we see a manufacturer make a small excellent lens. The Sony FE 24mm F1.4 GM is exactly that. “Another year, another Sony Cyber-shot RX100-series compact camera. What will it be this time – a faster lens? Better 4K video? Boosted continuous shooting? Well, in fact the RX100 VI offers none of those things compared to its predecessor the RX100 V/A, but instead adds a more versatile 24-200mm zoom to the lineup, which trades brightness (and a built-in ND filter) for extra telephoto reach. Adobe Camera Raw 10.5 adds Sony RX100 VA & VI Raw Support and Lens Profile Support for the soon-to-ship Sony FE 400mm 2.8 GM OSS lens. 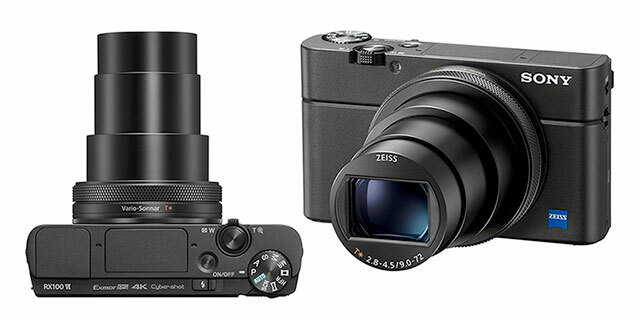 Sony Cyber-shot RX100 VI and VCT-SGR1 Shooting Grip Available for Pre-Order Now! The new Sony Cyber-shot RX100 VI with 24-200mm F2.8-4.5 equivalent lens with Best-in-Class AF, touch focus and improved EVF design and VCT-SGR1 Shooting Grip are available for Pre-Order Now! Sony once again upped the ante on the ‘World’s Best Pocket Camera’ RX100 VI features a new 24-200mm F2.8-4.5 equivalent lens with Best-in-Class AF, touch focus and improved EVF design. 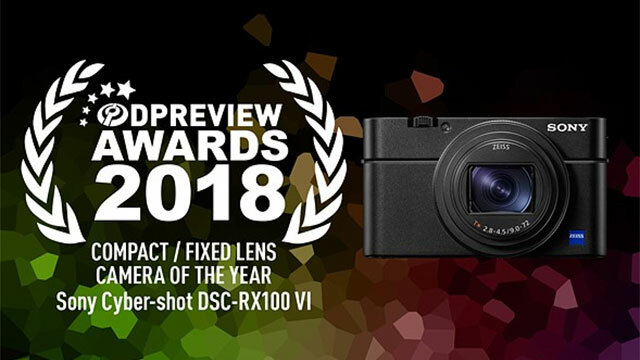 NEW YORK, Jun.5, 2018 â€“ Sony â€“ a worldwide leader in digital imaging and the world’s largest image sensor manufacturer â€“ has today announced another exciting model for their popular Cyber-shot RX100 series of compact cameras, the RX100 VI (model DSC-RX100M6). The innovative new RX100 VI camera is the first of all the RX100 models to include a high magnification zoom lens, as it packs in an impressive ZEISS Vario-Sonnar T* 24-200mmi F2.8 F4.5 lens yet doesn’t sacrifice the pocket-size portability, fast responsiveness and high image quality that has become the hallmark of Sony’s RX100 lineup. It’s extensive zoom, impressive image quality and versatility for both still images and video make it an ideal choice for capturing daily life, cityscapes, portraiture, sports, wildlife and everything in between. The new model is equipped with a 20.1 MP 1.0-type stacked Exmor R CMOS image sensor with DRAM chip and an upgraded BIONZ Ximage processing system with a front-end LSI that maximizes processing speed and optimizes image quality in all shooting environments. Additionally, the RX100 VI features an incredibly efficient Fast Hybrid AF system with 315-point phase-detection AF points on the sensor that can acquire focus in as little as 0.03 secondsiii, the world’s fastestii AF acquisition time for 1.0-type sensor cameras. It can also shoot at up to 24 fpsv at full resolution with continuous AF/AE tracking and produces beautiful 4Kvii video with full pixel readout and no pixel binning. A first for Sony’s RX100 series of cameras, the new ZEISSÂ® Vario-Sonnar T* 24-200mmi F2.8 â€“ F4.5 lens packs the power of both 24-70mm and 70-200mmi focal lengths into a singular compact design. This is achieved thanks to its unique design featuring two ED (extra-low dispersion) aspherical glass elements and eight aspherical lens elements including four AA (advanced aspherical) lenses. All pieces work together seamlessly to deliver outstanding sharpness from corner-to-corner at all focal lengths, maintaining the acclaimed image quality of the RX100 series. The impressive new lens on the RX100 VI maintains a large aperture throughout the entire zoom range, ensuring portraits can be created with beautiful background defocus, fast moving subjects can be captured with crisp focus and no blurring, and much more. Additionally, the lens has built-in Optical SteadyShot image stabilization that is equivalent to a 4.0-stopvi faster shutter speed, helping to prevent camera shake or blurry images even in a low-light condition or at telephoto zoom range. The new RX100 VI model features a Fast Hybrid AF system that ultimately allows the camera to lock focus in as little as 0.03 seconds. This innovative AF system combines the respective advantages of 315-point focal-plane phase-detection AF points that cover approximately 65% of the sensor and contrast-detection AF. This high speed focusing complements the versatile 24-200mmi range of the lens, ensuring all subjects can be captured with precise detail and clarity. Additionally, a first for the RX100 series of cameras, the RX100 VI includes Sony’s advanced High-density Tracking AF technology, which concentrates AF points around a subject to improve tracking and focus accuracy. The popular Eye AF technology is also available with approximately 2x the tracking performance of the current RX100 series model. Further, the camera has LCD touch focusing and touchpad focus point control for users that would like to drag their fingers to ideal focus points of their choice. An ideal complement to the AF system, the RX100 VI offers continuous high-speed shooting at up to 24 fps with full AF/AE tracking, with an impressive buffer limit of up to 233 images. The display lag of the EVF has been substantially reduced compared to prior models, allowing shooters to capture the decisive moment with ultimate confidence. Also, for convenience during image playback, continuously shot images can be displayed in groups instead of individual shots. The RX100 VI also has a high speed Anti-Distortion Shutter (maximum shutter speed of up to 1/32000 second) that reduces the “rolling shutter” effect commonly experienced with fast moving subjects, and can shoot completely silently in all modes, including continuous high speed shooting, when electronic shutter is engaged. A mechanical shutter mode is also available as well if required by the user. The pocket-friendly RX100 VI is packed with a variety of video capabilities that will satisfy even the most demanding video enthusiasts. With Fast Hybrid AF, the focal-plane phase-detection AF points ensures accurate focusing and tracking performance, even for the severe focusing requirements of 4Kvii movie shooting. AF drive speed and AF tracking sensitivity can also be adjusted via the menu system, giving shooters plenty of flexibility based on their focusing preferences. In 4K mode, the new RX100 VI utilizes full pixel readout without pixel binning to ensure that all the finer details of 4K video are captured with minimal moire and ‘jaggies’. For the first time in a Cyber-shot camera, the RX100 VI features 4K HDRviii compatibility thanks to its new HLG (Hybrid Log-Gamma) picture profile that offers an instant HDR workflow solution. Additional professional caliber video features include S-Log3/S-Gamut3, 120p Full HD mode, Picture Profile, proxy recording and more. The RX100 VI is able to record super slow motion[xi] video at either 240fps, 480 fps or 960 fps. The new RX100 VI is equipped with a high-contrast 2.35 million dot XGA OLED Tru-Finder with ZEISS Coating, ensuring true-to-life image preview and playback functionality. The EVF itself retracts in and out of the camera body based on user preference, and can be activated instantly by a single One-push Access button. A first for Sony’s RX series, RX100 VI has a touch shutter that can be activated by tapping the back LCD screen, a zoom lever with customizable zoom speeds and an LCD that can be rotated 180 degrees upward or 90 degrees downward for a variety of shooting angles for the creator. There is also a Monitor Auto OFF function that boosts max number of still images by up to 30%, and the camera is also Wi-Fi and Bluetooth-compatible. The new Sony Cyber-shot RX100 VI compact camera will ship next month for about $1,200 US and $1,600 CA. NEW YORK, Jun. 5, 2018 – Sony Electronics, a worldwide leader in digital imaging and the world’s largest image sensor manufacturer, has today announced the VCT-SGR1, a versatile and compact new Shooting Grip best suited for their RX0 and RX100 series of cameras. 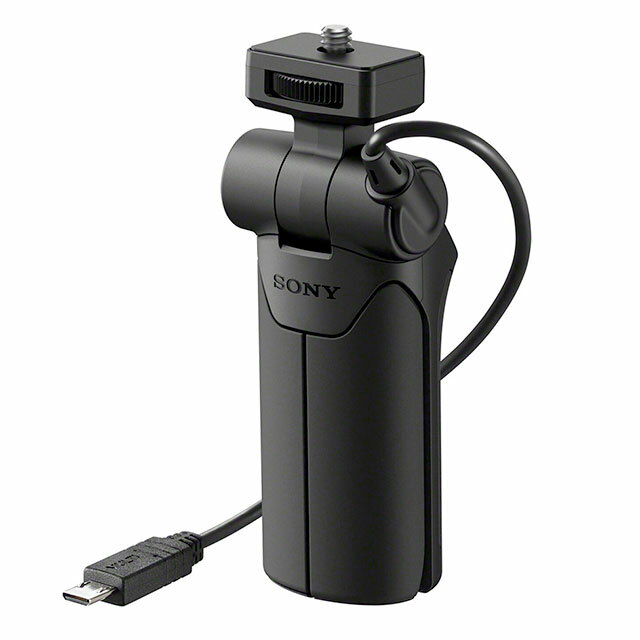 Ideal for vlogging, travel photography, self-portraits and much more, the new VCT-SGR1 is a vertically-oriented shooting grip that attaches to Sony’s RX0 and RX100 series of cameras via Multi/Micro USB Terminal. It is extremely compact and lightweight, and can adjust angles up 70 degrees or down to 100 degrees to capture different perspectives including high-angle shots, low-angle shots and self-portraits. The grip features several buttons at the top of the grip including shutter release, REC stop/start and zoom[xii] functionality, allowing for easy fingertip control for both right and left handed usage. Additionally, the bottom of the grip can be spread-out and used as a tripod, making it an ideal accessory for group photos or low-light shooting conditions to avoid camera shake when shooting at slower shutter speeds. The new VCT-SGR1 Shooting Grip will ship this September in North America, priced at approximately $100 US or $130 CA.